The most important item in running or jogging is footwear. Nowadays, you often see runners or joggers, whether they are men or women, with stylish shoes. You want a pair but there are so many products to choose from. 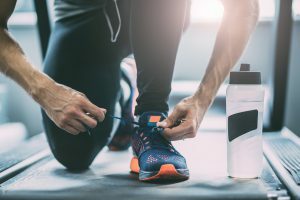 Nike, New Balance, Puma…each company offers specific features, and you can be overwhelmed and can’t figure out which would suit the best for you. So, in this article, we will introduce the tips on what to look for in running footwear. 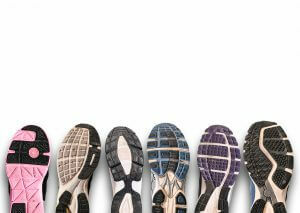 And based on that and customer reviews, we will give you the top 10 running shoes in ranking. Let’s try to find the pair for you to enjoy the great run! First, we will explain the tips on how to choose running shoes that fit you well. There is a slight difference between choosing everyday footwear and running shoes. When you are choosing a pair for daily use, you choose the one that fits perfectly with no or little room. However, in choosing running shoes, you should be able to slide your finger between your heel and the back of the shoe. Having a little room, about 1 cm at the front of the shoes should help you run well with no stress to your toes. Depending on a shoe company, width varies. It is important to check shoe width as well as instep height. For those of you who considered themselves as beginners or have not much leg muscles, a good cushion will help you. It helps muscle problems as well. A beginner should not choose running shoes for an intermediate or advanced level. Doing so can put a heavy burden on your feet. So, take a look at the tips listed below and choose well-cushioned running shoes. There are basically two types in they way cushion materials are set in running shoes. Ones that covered the entire sole with even texture and pattern and ones that have an uneven cushion with extra “spike-like” boosts. If you are a beginner, it is better to choose a pair with the even cushioning. Running shoes with “spike-like” shaped cushions can give you more grip when running. If you are going for a speedy run, this type is recommended. The other thing to keep in mind is how high the heel part is. If you are a beginner, a thin heel cushion can put a lot of stress on your legs. The higher the heel and thicker the cushion of the heel part is, better protecting your feet. Don’t forget to look at the heel cushion when choosing a pair. The weight of running shoes is also important. Especially when you are running a long distance, heavy shoes tend to wear you out quickly adding stress and discomfort to your body. Some running shoes can be as light as 260 g, so you should pay attention to the weight. What we recommend is to find the balance between the weight and cushioning for your body. That is how you can keep your training comfortable. Pay Attention to Shoe Upper and Heel Collar! What makes sports shoes fit well are the shoe upper and the heel collar. There are a few points to share here. Running shoes with the mesh upper fit well. A mesh fabric is soft and wraps around your upper feet like skin. Also, it would be best if the insole is also made of mesh and seamless. This will help your feet breath better. The heel collar, which is the part around your ankle, is the key to providing stability. It is important to find a pair that holds your ankles firmly, giving the well-fitting hold. The heel collar and counter that use firmer fabric can give you better support. Keep in mind someone’s well-fitting shoes may not be yours. How they feel to you is most important. It is best to try them on at sports stores if you can. 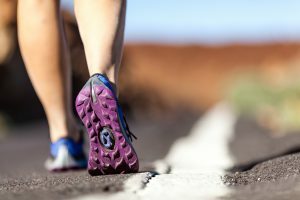 Unlike walking shoes, running shoes are subjected to more impact. Especially, at the heel and toe parts have to absorb more shock. The heel part receives impact when landing, and the toe part in starting with kicks. These parts are bound to wear out faster. To choose a pair that lasts a good amount of time, shock-absorbing cushions and other reinforcements should be applied to shoes. 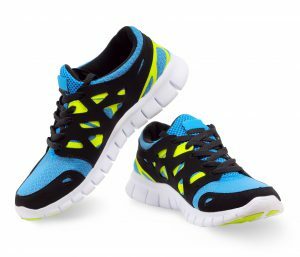 There are running shoes reinforcements such as gel cushion at the heel and toes. 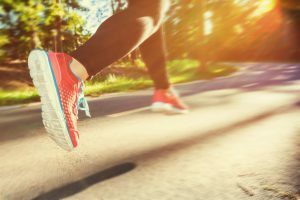 It is important to choose well-cushioned shoes in training. Now, we will recommend the 5 best running shoes for men. Hope you can find the pair to fit you well so that you can enjoy your exercise! 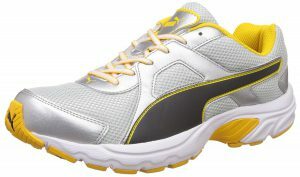 This pair from PUMA is not only great for a beginner but also for anybody who needs comfortable shoes for exercise. The heel cushion is fairly thick for extra support and the sole is covered evenly. It will absorb the landing impact and support your feet well. Customers evaluated this product high as well, the majority giving over three stars over five. The price and comfortability are the two positive points. One thing to keep in mind is the size. Shoes are only comfortable when the size is right. Check the current running shoes for your size and compare it with the chart provided online. 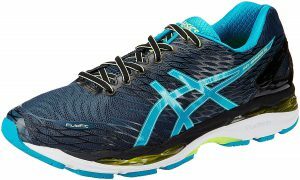 ASICS GEL-Nimbus series is popular for the great cushioning. The 30-year technology will not only absorb impact on toes and heels, it is very comfortable on your midsole. This makes runners go for a longer run with a good support. It lasts for a long time, and it is also fit for hard exercises such as hiking and climbing. 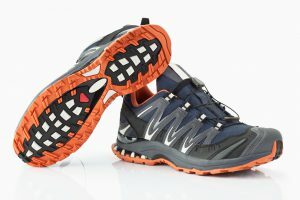 At the toe, it narrows more than other running shoes, according to the review. So, compare it with your current pair. It comes in 8 colors: blue, red, black and many more. You are sure to find the color you like. 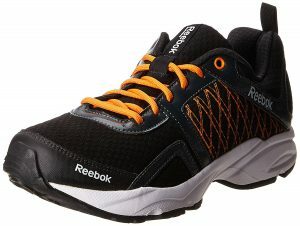 This pair from Reebok uses PlayDry technology, which wicks away sweat to keep your feet dry. If you are planning on jogging, walking or running for a long time, this pair will keep you comfortable with the mesh upper and the technology. It has a stitched detail and features a pull tab. The cushion covers the entire sole which would be perfect for a beginner jogger or runner. It comes in three colors orange/black, blue/gray and blue/navy. This affordable but high-quality pair by New Balance will carry you far. Its seamless insole can keep your feet throughout the long exercise without irritating your feet. The breathable mesh upper will keep your feet dry and it is lightweight. This brand is very recommended whether you are walking or running, it can support your feet well. One thing to note is the shoe upper. Because of the nature of the fabric, it might start to tear after a while. But with this price, it is a good buy! 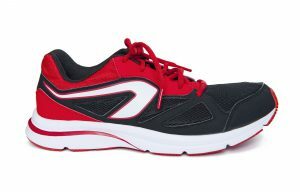 If you are a beginner or looking for versatile shoes to cover from running to walking, this is a good option. The soft padding in the heel area and wide toe area give you comfort and support. Customers in and out of India have reviewed this product as “great” and “very comfortable”. One of the best features is well-placed ventilation and the mesh fabric on the upper to the sole. The waffle patterned rubber on the sole gives a great grip, but this shoe performs better on pavement than on train, many customers noted. 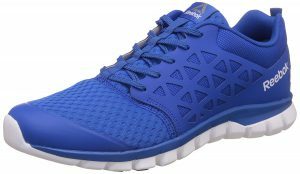 If you are looking for a pair of good running shoes that you can wear to the gym as well, this might be it for you. And the affordable price is an extra point! 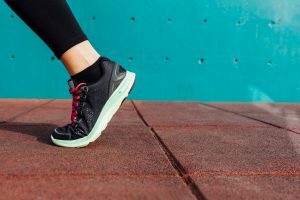 Now, we will recommend the 5 best running shoes for women. Hope you can find the pair to fit you well so that you can enjoy your exercise! This unique pair from PUMA will satisfy your desire to exercise with style. It comes in two colors: white and red. The shoe upper is in the mesh which makes it light and able to keep your feet cool even after a good run. The customers are very satisfied with this product as well. Most of them commented on how light and comfortable it is as well as the cool looks. However, many have noted that it feels tighter when put on. Make sure to measure the width of your feet and check it in the chart. 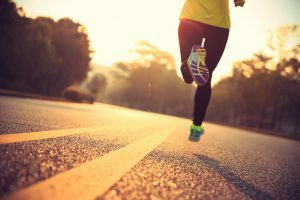 Because it is light, if you are a beginner runner, it might help avoid exhaustion. 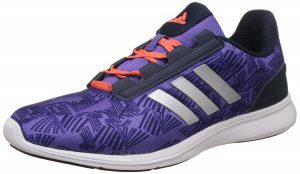 Adidas offers a good number of stylish running shoes with trendy colors and patterns. 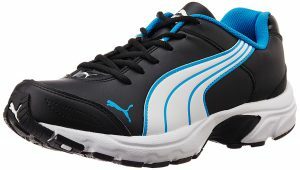 This popular pair functions both as light jogging shoes and outing shoes. The mesh on the shoe upper keeps your feet dry and the synthetic letter part makes it fashionable. The price and how well fit are the two things customers noted. The outsole is covered with rubber fully for durability and the heel collars are reinforced for extra support. Sporty, fashionable and affordable, three good quality is pack in this pair. 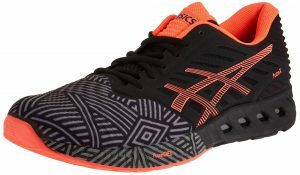 This pair of running shoes by ASICS is not only comfortable but also stylish. It uses the famous ASIC cushion technology for the comfort and adaptability. It reduces the impact on your heels with a stable thicker rubber sole at the heels. The ASICS Fuzex series has been receiving great reviews in India and other countries. The most important feature is its cushion. The cushion absorbs the shock well so that you can run for a longer distance. It is not the cheapest pair of shoes, but it is worth the price, lots of customers think. 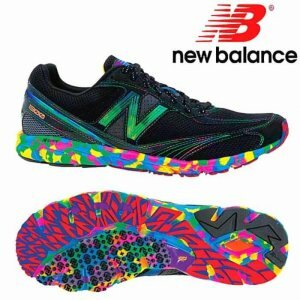 It comes in two bright colors with cool patterns on the shoe upper. It will comfort and brighten your run! 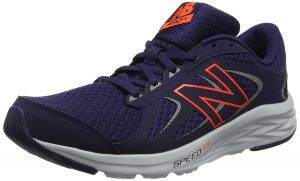 This pair by New Balance will give you the support and the push you need to go for a long run. The thick midsole to heel cushion will absorb impact on kicking and landing. The unique outsole gives grip with its roughly patterned rubber. And it is cut into three section to give you more flexibility. Customer reviews are high for stability, looks and a good toe room. An extra toe room could be good for people with a wider width and/or for people who’s had injuries in the past. This extra room gives less stress on your feet. 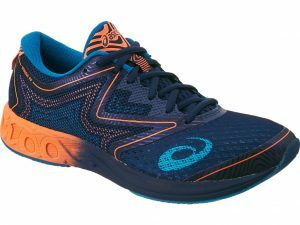 Even though this running shoes is on the high end of the price range, it will not disappoint you! 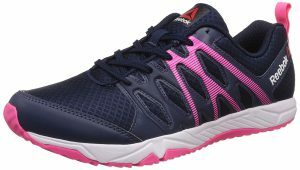 This popular shoes by Reebok can take you for a good run and also works as a gym shoes. The even sole cushion is best fit for pavement run, and the mesh upper will keep your feet dry. The midsole is evenly thick so that even a beginner can be comfortable. Customers raved on fit, light and comfortable. One thing to keep in mind is that the width could be narrow if you have larger feet. Make sure to check the size before purchase. It comes in two colors: pink and blue. It is a basic pair that can carry you well when running outside or working out in the gym. If you are a versatile work-out person, this might be perfect for you. It is not the easiest thing to let go of your beloved pair of your running pals. There are ways to find the good timing for replacing your old one with a new pair. Please check the following and keep the points in mind. In general, a pair of running shoes can get worn out after running 800km to 1000km. It might be helpful to track your running distance. There are some apps you can use if you are running with your phone. There are three parts to your shoe soles: outer sole, midsole and insole. Depending on how you use your shoes, one part might give in faster than others. Checking each part is important. When the outsole of running shoes is worn, the rubber will lose edges, making the bottom of your shoes smooth. When you start to see the midsole of your shoes, you should not keep running with the pair. It does not give you a good cushion. Even if your outsole does not look bad, you can lose cushioning on your shoes. This means your midsole is worn flat. If you start to get blisters or feels uncomfortable in any way, do not hesitate to buy a new pair. No one says you cannot buy a new pair before working it flat. It is important to keep your motivation for running and jogging up. So, if you are trying to set a new goal or feeling like you need a change, a pair of brand new running shoes can lift up your spirits up. There are so many brands for running and jogging shoes. Each brand offers unique technology and features. It is useful to know which one is your style and fits your feet before shopping. 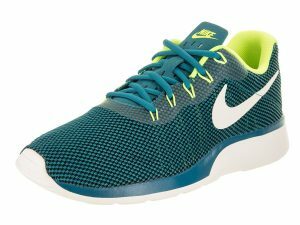 NIKE offers stylish running shoes with a variety of colors. Not only their shoes are highly functional, they are equipped with the latest technology. NIKE has been evolving to create a wide range of products from running shoes for semi-professionals to training shoes which gives comfort and protection for feet. It is important to know that NIKE shoes are not made for an average Asian foot. If you have wider feet, you might want to make sure it fits you well before purchasing a pair. 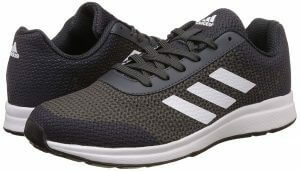 Adidas offers highly fashionable and colorful running shoes. Their shoes are mostly light and soles are thinner. 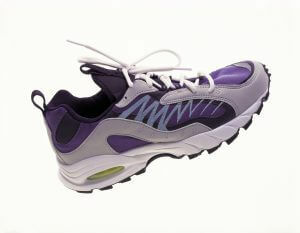 It is a very popular brand for their shoes are well-ventilated allowing sports shoes to be casual footwear. 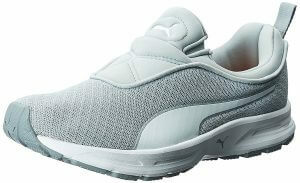 PUMA prefers softer materials, making their product comfortable for runners. It is highly recommended for beginners, and also avoiding injuries. “Mobium” series by PUMA is a unique product they have developed. It is made to enhance the natural motion of a runner by supporting the toe-off phase. 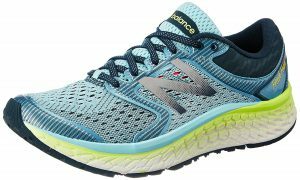 New Balance is an American company, but has created shoes for a wide range of foot types. Founded not as a footwear company but selling arch support goods, it has kept up with the current trends and customer needs. Their cushioning and lightweight are famous. A Japanse sports brand, asics has been making running shoes for Asian people. They have developed their own technologies, and their products are loved by many professional runners. Their products are famous for high quality cushioning and insoles which are made of resilient fabric. Reebok has been releasing running shoes with special focus on cushioning. 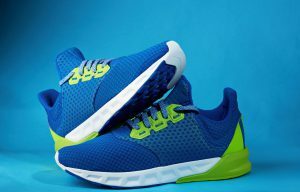 They have developed zigzag foam which pushes runners forward, and most recently, they released running shoes called Z-series. These shoes have unique foam cushioning that is not worn out easily. For a long time, Reebok focused more on quality than style with thick quality soles. 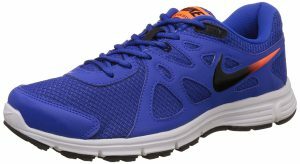 However, they now offer a number of stylish running shoes with many colors that would go well with any gear. 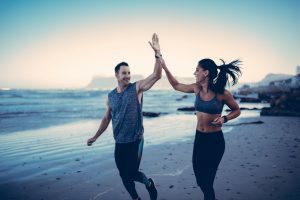 So, we have introduced how to choose a good pair of running shoes. How was it? Was it helpful? In running or jogging, a pair of running shoes is the most important item. How you run and where you run can determine which shoes would be best for you. We hope you will find the perfect pair to accompany your run. Good luck!